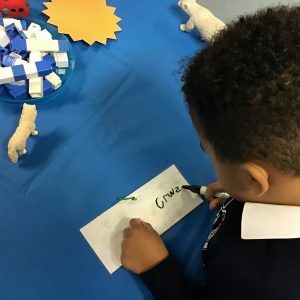 Nursery class are all getting better at writing their names. 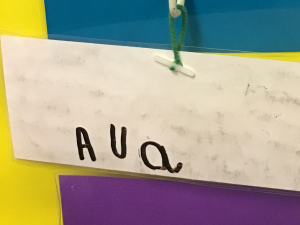 As the weeks go by, we have noticed improvements in the children’s ability to hold a pen and have a go at each of the letters in their name. The children are forming letters with greater control and thinking carefully about the order of each one. Our stars of the week are now able to write their names, independently, without a name card! Each letter has been formed correctly and with super control. Amazing.